I am very fortunate, as a blogger, to have the opportunity to sample and test out many different gluten-free cookbooks, of all different types from a variety of different sources and authors. Generally, I am always very happy with them and so excited with in the 9 years I have been gluten-free, how far recipe development has come. The things people are doing in their gluten-free kitchens now, blows my mind. I can honestly tell you that when I first went gluten-free – 9 years ago, I honestly never thought some of what is being made now, even the things that I am making and creating, were ever even possible. Bread is something that I have just come to accept as something that will never be the same for me. It has come a very long way in the 9 years I have been eating gluten-free, but I still generally find it to all to just be – OK. I have made a few good recipes here and there, there are some decent store-bought brands that are OK when I am really craving a sandwich, but by-in-large, I tend to just avoid it and not go out of my way. What’s the point? When America’s Test Kitchen contacted me, with an exclusive invitation to check out an advanced copy of their latest creation – The How Can It Be Gluten-free Cookbook – I, of course, instantly and happily obliged. I was so excited to try out their recipes and share one with you. As an industry standard, America’s Test Kitchen works recipes to utter perfection, sampling, testing and playing around until they get it just right. This cookbook is literally the results of a yearlong gluten-free odyssey in the Test Kitchens. Not only did America’s Test Kitchen send me the book to test out and review, but they also sent a large container of their pre-made custom created all-purpose gluten-free flour blend to bake with. 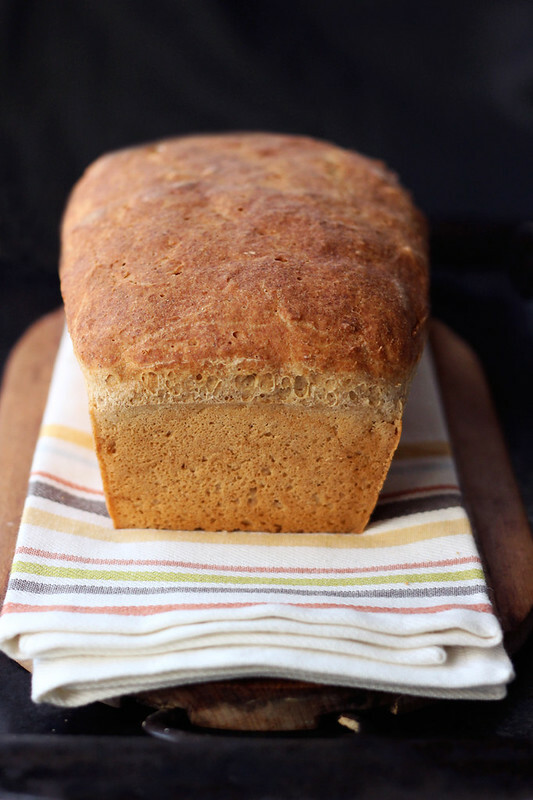 So, in addition to this incredible gluten-free sandwich bread recipe, I am also sharing their easy-to-make, economical gluten-free flour blend recipe and a simple sandwich that I am obsessed with, don’t get very often and had to make with this yummy bread. 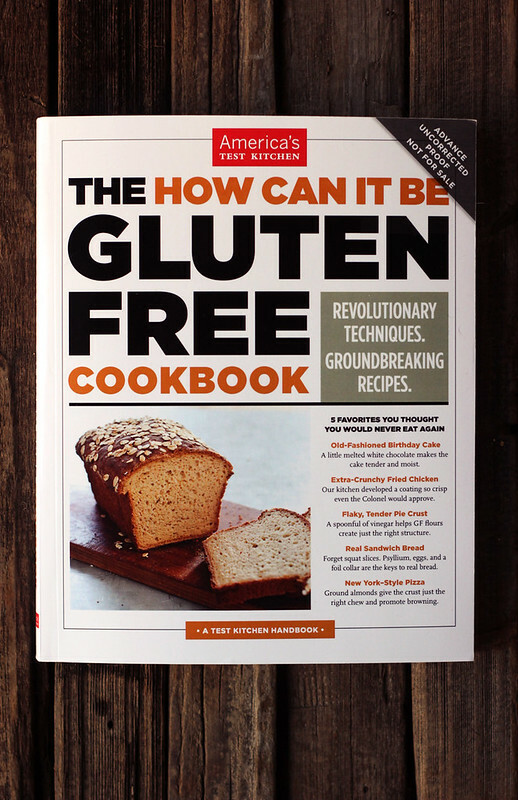 Oh, and one lucky Tasty Yummies reader will receive a copy of The How Can It Be Gluten-free Cookbook. See the bottom of this post for the giveaway. My favorite thing about this amazing cookbook is the fact that America’s Test Kitchen knows not every reader will want to make a homemade blend, they evaluated all the leading store-bought options and found two commercial blends (King Arthur and Bob’s Red Mill) work well in all of their recipes, too. The recipes include everything from foolproof bread, cakes, cookies, pie crust, pizza dough, weeknight dinners, and even fried chicken. 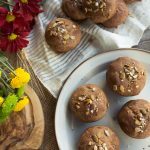 Besides being filled with amazing recipes, The How Can It Be Gluten-free Cookbook helps readers understand gluten-free baking and cooking, with an extensive section in the front of the book explains the science of gluten as well as breakthrough strategies that every gluten-averse cook should utilize. Finally, you’ll learn what to stock in a gluten-free pantry and the very best ways to cook many familiar (and not so familiar) gluten-free grains. 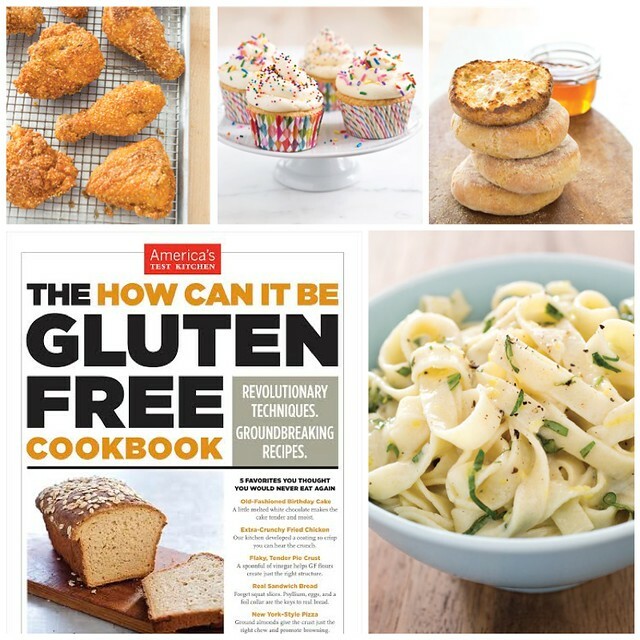 With The How Can It Be Gluten-free Cookbook, you’ll acquire more than just recipes that will amaze your family and friends: You will also get a valuable education in gluten- free cooking and baking. Just an FYI for you 100% dairy-free folks, as someone that generally tries to avoid dairy when I can, many of the recipes in this book, including this bread recipe and even their flour blend, do include dairy. So, keep that in mind if you need to be dairy-free. They offer dairy-free subs in many cases, but I did think it was worth mentioning. For this particular bread, I went with goat milk dry milk powder in the actual bread recipe, since that is what I keep on hand for baking and it worked great. But, since I can consume dairy as long as not in large amounts or too regularly, I decided to keep the butter and use their blend as-is. I of course, immediately looked for a bread recipe, I am always excited to try to find “the one”. I thumbed through the entire book, filled with so many amazing traditional, classic recipes recreated and perfected gluten-free. But, when I found the sandwich bread, I took a look at the ingredients and decided this would be what I tested, sampled and shared with you guys, since if you guy are anything like me, I know you are desperate for an amazing recipe. This bread is seriously the best I have had yet. Fluffy with the perfect crumb, but not crumbly and gritty. It holds together super nicely, it is great toasted or not, and it has a chew to it unlike any gluten-free bread I have made or had, yet. I especially love that it is totally gum free!! Selfishly, I wish I had created this recipe and could take credit for it. It’s that good! In addition to this classic sandwich bread recipe, there are quite a few amazing customized variations on it, in the book too; honey oat, multigrain, cinnamon-raisin, hearty country flax and more. Be sure to use potato starch, not potato flour. Tapioca starch is also sold as tapioca flour; they are interchangeable. See notes below about shopping for rice flours and substituting soy milk powder. Whisk all ingredients together in large bowl until well combined. Transfer to airtight container and refrigerate for up to 3 months. We used rice flours made by Bob’s Red Mill during our testing process. We found some rice flours (including those made by Arrowhead Mills, another widely available brand) to be a bit coarser, which can negatively impact the texture of baked goods. We strongly recommend that you buy Bob’s Red Mill white and brown rice flours. 2. Using rubber spatula, scrape dough into prepared loaf pan and press into gently into corners with wet hands; smooth top of dough and spray with water. Tightly wrap double layer of aluminum foil around pan (coming from around the bottom with the sides coming up to the top) so the top edge of foil rests at least 1 inch above the top rim of the pan creating a collar and making a taller pan; secure foil with staples (this ensures the loaf rises up instead of out keep the dough from spilling over the edges when it rises). Cover loosely with plastic wrap and let rise at room temperature until dough has risen by 50% (1/2-inch about rim of pan), about 1 hour. 3. Adjust your oven rack to the middle position and heat oven to 350ºF. Remove plastic and spray loaf with water. Bake until the top is golden, crust is firm, and the loaf sounds hollow when tapped, about 1 1/2 hours, rotating the pan halfway through baking. 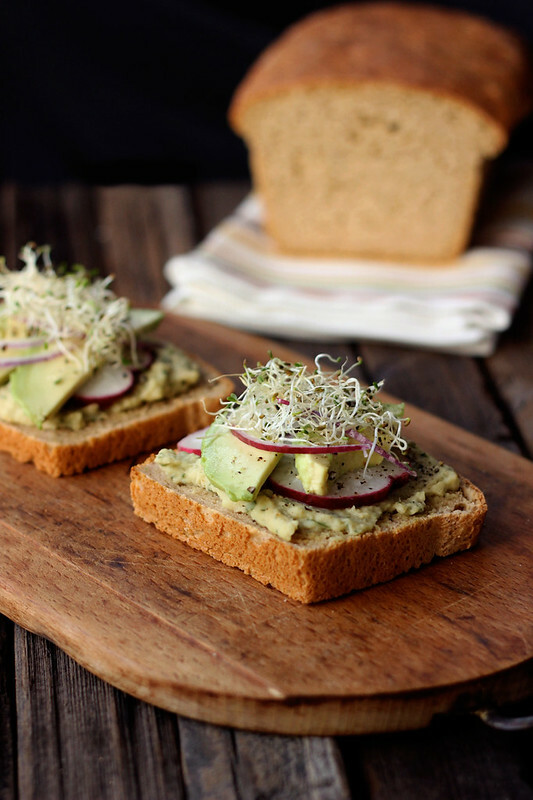 I made this amazing loaf of bread, let it cool and instantly decided to toast up a few slices for one of my very favorite lunches, of all time: A vegetarian open-faced sandwich with white bean spread, avocados, sprouts and other goodies. 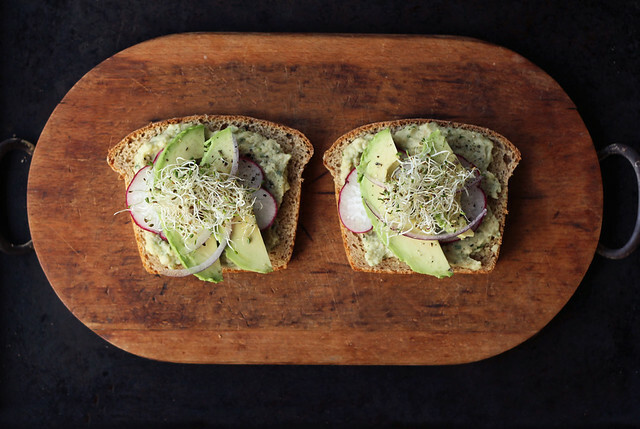 I make this simple herbed white bean spread to top some of the toasted bread with, I added some avocado, sliced radish fresh from our garden, thinly sliced red onions, sprouts and some fresh pepper. Perfection. Add all of the ingredients to your food processor and process until smooth and creamy. Season with salt and pepper, to taste. Serve immediately or store in refrigerator and serve chilled. Keeps in the refrigerator for up to 3 days. 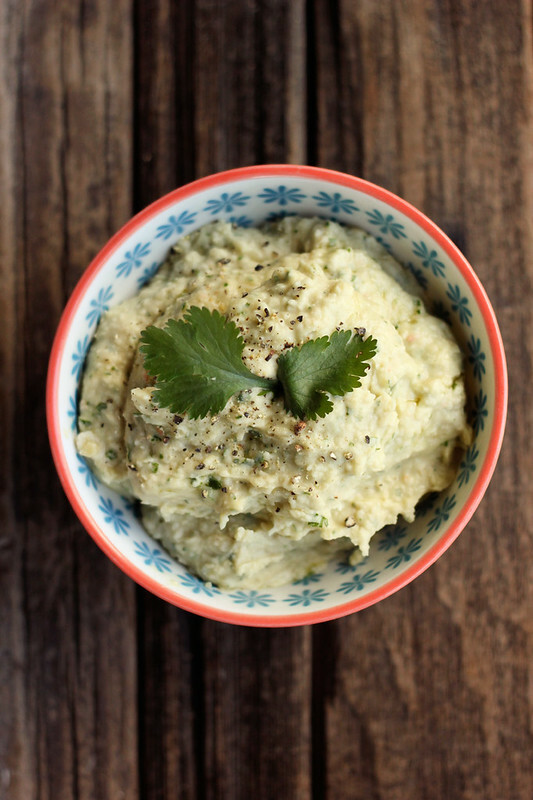 * This indian-spiced white bean spread would also be delicious on a sandwich, too. *Disclosure: I received a preview copy of The How Can it Be Gluten Free Cookbook free of charge. The opinions expressed however, are completely my own. This post contains affiliate links. If you make a purchase using these links – your cost remains the same, but I earn a small percentage to help support this blog. Thank you! I love cookbooks and learning how to cook in new ways. super excited about this test kitchen cookbook. Love all your give a ways girl! The folks at Cook’s Illustrated (American Test Kitchen) appear to have turned out another great book on baking. Because of their experience with cooking and baking, I would expect this to be a great add to any kitchen. I just started experimenting with gluten-free baking last year after realizing how much better I feel when I’m not bingeing on white sugars and glutens all the time. Having such an excellent resource at my fingertips by way of ATK would be a huge help in the kitchen! Because I am gluten free and recipe challenged! My sons are very sensitive to gluten so we have been following a restricted diet for almost two years now. I used to love to bake, but it’s very frustrating to try gluten free recipes I find on the internet and so many of them are just awful. It would be great to get a cookbook from ATK because everything they do I know turns out fantastic! I am trying to cut back on wheat products and think this would be a great starting point. As I work on healing Hashimotos it would be awesome to have tried and tested gluten-free recipes to add to my kitchen toolbox. I do have a question about the recipe, “secure foil with staples” what the heck does that mean? I know that part of the recipe gets a tad confusing, I was struggling when reading it, myself. Thankfully in the book there is a photo illustrating what to do (which I saw after I wrapped my foil all wrong). Basically if you wrap the foil around the bottom and then up the sides, with the top of it stopping above the rim of the pan on all sides – stapling it to itself, on the corners, keeps it in place. I ended up baking it for 1 hour 15 minutes. It’s great. Probably wouldn’t have been okay for another 15, too. eh I was thinking there was no way it could bake for the full hour and a half, since my loaf started to brown in the first 30 minutes, but I let it do it’s thing for almost the entire time and it was perfect. I forgot to spray the top of the loaf with water, so that could have been why it browned so quickly, but about halfway through I lightly covered it with foil to keep it from browning too much. Isn’t it just the yummiest bread ever? Interested in starting to cook gluten free & love ATK. Have followed them for years. People in my extended family need to eat gluten free so I would love to have some more ideas and cooking options when they come for a meal, which is often! I am so happy to be following your blog. I tried quite a few of your recipes on the whole family over the holidays and they were quite the success. Living overseas — it is so nice to have a connection that feels like home, and this is the place for me. I cannot wait to try the sandwich bread recipe (although I will have to wait to get the ingredients on the next trip back to the U.S.), but I have already jotted it all down. Such a beautiful post! Those pictures, that bread, stunning! I am new to gluten free and I need a jump start with recipes that are healthy, clean and taste good. Slowly but surely I will train my brain to create my own gf recipes but for now the book and Tasty Yummies will do just fine. I am so glad to see all the improvements in gluten free cooking. Thank you for working so hard on making and finding them. Many members of my family have had to go gluten free. I am constantly looking for great tasting gluten free recipes so that my son realized that he can be gluten free without giving up taste. Better Than Milk makes a rice milk powder and in Asian stores they sell coconut cream powder for us gfdf and soy free folk. Also am egg free so will use egg replacer. This cookbook is quite compelling. 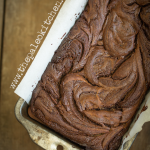 Gluten free baking can be tricky, it would be good to have well tested recipes. Thank you for showcasing this cookbook! Your blog is new to me; what a great first post to find! I watch ATC regularly and am so happy they’ve done a gluten free cookbook. I would love to have it. I have a lot of America’s Test Kitchen Cookbooks. Since I am new to Gluten Free (under 6 months), I have been waiting for them to come out with a Gluten Free Cookbook. I test some of their recipes and they have sent me a few Gluten Free ones to try, so I knew one was in the works. Would love a copy. Forgot to mention I have many autoimmune conditions so avoid gluten by doing all my own baking. Would love this cookbook. I am new to your blog and the cooking gluten free. I love ATK so I know this cookbook must be awesome. I’d love to win! I love America’s test kitchen and the look of this bread recipe- I’m a lover of cookbooks so this would be such a great gift! Thanks for the giveaway! This bread looks great, Beth! Shared on my gfe Facebook page. I bet that this recipe would be easy to convert to dairy free with Vance’s Dari-Free powder and dairy-free “butter.” Thanks! As a GF newbie I’d love to check this book out to make yummy foods for my celiac kid! I am gluten free and I love bread…nuf said! I started eating gluten free a couple of months ago due to allergies and asthma. I always loved baking and got a bread machine last year, but I have yet to find a really good gluten free bread. I also love America’s Test Kitchen and watch their show on PBS. I don’t doubt that they have come up with some amazing recipes! I really need me some really good gluten free bread! Always love new Gluten Free ideas, this book looks great!! Although I’ve been cooking and eating gluten-free for several years now, I am still somewhat scared to do much baking . . . and I sure do miss fresh bread. So, this book seems like it will be extremely helpful in my quest to do more GF baking. Thanks very much for hosting such a great (and needed) giveaway. i’d love to win this book because i’m always on the look out for new ways of cooking gluten free! my dad’s gluten free and i have never been able to make gluten free bread that works… hopefully this could give me a hand! America’s Test Kitchen is amazing with their scientific approach to cooking. I have been waiting for this cookbook and their recipes ! Can’t wait for this to be in my kitchen! I’ve recently gone gluten-free and am still learning the techniques and doing a lot of experimentation. I’d love to have the cookbook by America’s Test Kitchen! It would shorten my learning curve tremendously! Thanks for the giveaway! I love America’s Test Kitchen, and as a nutritionist, I am always looking for new, delicious, and healthy gluten-free recipes. I am very excited about this book! I would love a copy of this book. I have never baked or bought gf sandwich bread that actually tastes good and stays together or doesn’t turn into a brick. Thank you for the recipe! I shifted to a mostly GF lifestyle for about year now and am feeling great. It’s exciting to see all the new advancements in GF baking. Love your blog. Thank you for all your experiments and testing to bring us GREAT recipes and food inspiration, and the ATK GF cookbook giveaway! Having to change over to gluten-free for new family members. I’ve been dying for some really good gluten free bread! Love ATK, they really do have great tried and true recipes. I would love to win this cookbook giveaway then I could make a delicious gluten free loaf of bread! We are making the switch to a GF lifestyle for health reasons. It’s a difficult transition to GF with children, but I’m certain that as it is with all of ATK’s other cookbooks, the recipes in this one will be a success. I would love to own a copy! Thank you. I’d love to have this cookbook because I have several of the ATK books and they are the gold standard. I have yet to make a recipe of theirs that isn’t awesome. So excited they are tackling gluten-free! This looks wonderful! I have a birthday coming up, if I don’t win one (fingers crossed) I’m gonna have to beg someone to get if for me. I already have 3 ATK cookbooks and I love them all, esp the science geek in me. I’m new at the gf way of cooking so I need help. I love all of the Americas Test Kitchen and I know this new book would be a great help to me. Great blog and I’m going to try the bread right now. Thanks! I’m excited to play with this recipe. I think it’s really weird that they conclude Bob’s Red Mill is the best rice flour though! It’s so gritty! Did they limit it to flours available in supermarkets? I prefer Authentic Foods (http://authenticfoods.com/products/item/35/Superfine-Brown-Rice-Flour) and I wonder how this would turn out with a superfine flour. The sandwich bread dough is rising as I write to you. I’m a little surprised about baking for 1 1/2 hours. That seems too long. I will start checking after an hour in the oven. Anxious to try this bread. Wow what an awesome site you have – thanks for sharing so many wonderful recipes! I would love to learn how to make my own tasty gluten free breads. Eating gluten free is new to me and so far it’s been hard. The breads I have tried so far have not been that good either. have signed up for your posts/newsletter. Thank you for the opportunity to win this book. Can’t wait to see what ATK has done with my favorite Tollhouse Choc Chip Cookie recipe. I love cookbooks and this looks like a great one! Thanks for this giveaway! I’m still in the early stages of a gf journey, and would love a cookbook like this to help me learn the ropes! The sandwich bread is awesome. If other recipes are as good as this one this cookbook is a winner. Baking the bread for 1 1/2 hours did turn out to be perfect. Great cookbook! I saw this on QVC the other day. I would love this cookbook because my husband and mom have gluten intolerances and possibly my daughter. I would love to try some new recipes! Can’t wait to try the sandwich bread recipe! I love cooking gluten free for healthier eating and am even more excited that ATK has come out with a cookbook with their perfect recipes! They have never failed me and this is extremely exciting to me!! I hope I win!!! i love Americas Test Kitchen and Im so happy to seea gluten free cookbook from them! I am trying to eat healthier and this book would be a great help. The bread looks amazing – can’t wait to try it! Why do I want a copy of ATK’s awesome new GF cookbook??? Well…….let me count the ways: 1. My husband needs to eat GF so our whole family (usually) does too, 2. I NEED new GF recipes! 3. I’m tired of wasting ingredients on GF recipes that haven’t been tested or tasted and end up turning out yucky. No one wants yucky food, GF or not! 4. This book looks awesome! 5. I’ve always loved ATK but mostly gave up making their recipes up because of the need to be GF. 6…..7….I’ve got a bunch more but I’ll stop. Thanks for the awesome giveaway! I have everything I need except the powdered Psyllium husks, darn. Now I’ll have to wait and order some. s there a substitute you could suggest?? New to GF & ATK is a tried & true favorite for recipes! my husband is gf and I need some more recipes! our family is new to gluten free but it’s time to go there. I’ve trusted America’s test kitchen for years. I can trust them to have gotten the recipe right. I have been waiting for this book to be released. I have severe sensitivities to gluten so cook gluten free. This looks like an awesome cookbook and I’m sure I’ll use the recipes often. Thanks for the opportunity to win it. I would love to win because I still have so much to learn in gf baking. Just wondering if you know if you can grind whole psyllium husks to form a powder? All i have are the whole not the powder will it make a big difference? I am not sure Diana, I have never tried it. I guess it would be worth a shot, if you have a grinder than can get you a fine grind. The best part about this book, aside from being gluten free, is that it has been tested so very well by America’s Test Kitchen. You just know it has to work! So I have all sorts of health issues. And my husband and I want to cook better but since I’m gluten-free we mostly just cook the same stuff over and over again – usually rice and some chicken or something. I’m bored and since he and I both trust America’s Test Kitchen completely (we watch the show every Saturday), I think this book would really help us (me) out! Thanks so much for the giveaway! This would be a terrific resource to have on my bookshelf! I’m looking forward to trying this bread. And…I’m glad to have found your blog! yay! I would love to learn how to cook with gluten-free flours. Finally a g-free cook book thats reliable! I am a vegetarian and I was recently diagnosed with Rheumatoid Arthritis. I’m only 29 and that’s relatively young to be diagnosed, especially as badly as mine is. My doctor said it would help with the pain to go to a gluten free diet. I’m a little overwhelmed at the moment and could use any help or advise! As someone who is gluten, dairy, soy, and onion free – I make pretty much all of my own food. I love the feeling that comes with making great healthy food for me and my kids (even if they don’t always appreciate it!) Bread is the last thing on my list to tackle. Thanks for sharing the recipe. I generally use avocado in lieu of butter…….I think I’ll try it. A copy of the book would not go amiss in this house…… Thanks! I want to win for my friend who is mostly gluten free! She is a wonderful person and I would love to be able to give her this book! I would love to get this cookbook and share the hints with the students in my gluten free cooking classes! I need to help my gluten intolerant wife. I want a copy of this cookbook so I can help my family see how easy and tasty g-free can really be! Thanks so much for posting this recipe! I’m new to your blog so perhaps you’ve explained the reasoning behind some of this elsewhere. If so, I’d love the link with the explanation. 1) Why a ceramic pan? 2) Can you mix the dough with a food processor? 3) Will heavy-duty aluminum foil work instead of 2 layers of regular foil? 4) Does ATK’s new book use only their rice flour mix or do they provide suggestions/instructions for using other flours? I really don’t care for the texture rice flour mixes produce, and I’ve come up with a blend of almond and quinoa flours that I really like for muffins. I was hoping for some guidelines for using various other flours. I’ve made this bread twice now, and just cannot understand why it works so much better than other recipes I have tried (and I’ve made hundreds of loaves of GF bread!). It is without doubt the best homemade bread I have ever made (GF or not), and uses quite possibly the cheapest ingredients available to do it. I expected it to be gritty because of the rice flours, but it was so soft and had a perfect, moist crumb. The crust was absolutely amazing. The second time, I did sub in 1 ounce ultratex 3 to 2 ounces tapioca starch in the flour blend. It gives it a little longer shelf life without going stale. I already bought the cookbook, so don’t enter me in the giveaway. Anyway, I just wanted to say it is an awesome cookbook and I’ve already made two kinds of cookies and the buttermilk waffles. All the recipes have turned out really well and I am looking forward to trying the bread recipes as soon as I buy some powdered psyllium husk. Incidentally, in my first batch of flour I used about 50% brown rice flour and 50% white rice flour, and I also had to adjust the relative amounts of the starches since I was running low on both white rice flour and potato statch. Nonetheless the recipes still came out really well. glad to hear the recipes still came out good with that change in the blend! Thanks for sharing. My husband and I are thinking about making our home gluten-free. I’m doing a lot of research before we jump completely in! 🙂 We are thinking about this because of health issues/questions with myself – headaches, joint pain, etc. One of my concerns is the use of Agave Nectar. I have an allergy to aspartame. I have not tried other sweetners like Agave Nectar becuase of fear, honestly. My allergy to aspartame, splenda, equal, sweet n’ low…is so severe that I don’t even want to chance it….horrible migraines that appear to be strokes – numbness on one side, not able to speak, drooping of my face, confusion, sleeping…the list goes on. Can I use honey in place of Agave Nectar? If I can, should I use the same amount, increase or decrease? Looking forward to trying your recipes!!!! Amber, sorry I am confused there is no agave nectar in this recipe or really any recipes on my website. I don’t use the stuff. Bummer Noreen. I am sorry to hear it. Could it have been an issue with the yeast you used, maybe the water wasn’t warm enough. Not too long ago I made another recipe and it didn’t rise and when I made it again with a newer yeast, it came out perfect. I guess if you are a seasoned baker, you probably know more about the yeast, than I do. Did you change anything about the recipe, did you use the flour blend that ATK recommends or another one? I don’t have colieac disease but have struggled with a wonky tummy, digestive system and skin problems for a few years now. I have eliminated most dairy, sugar and have found that cutting down on gluten helps tremendously. My skin looks better and my gut feels better too. When I reintroduce gluten (especially bread) I experience immediate heartburn and most times, hello pimple! I saw the GF episode on the ATK podcast stream a couple weeks ago and was so excited to listen to it! I immediately set out in search of the bread and chocolate chip cookie recipes, the former of which landed me here (the latter on their own website). The first time I made the bread I was going with what I had on hand, so it was kind of cobbled together over a couple of days, and when I had the dough in the mixer it was SO watery that I thought I must have forgotten the oat flour and poured in extra rice flour (since I was out of oat). It still came out yummy. Fast forward one trip to the grains market for fresh-ground everything. (I am so sad that I’m leaving Asia in June, it’s GF-baker’s heaven, such cheap fresh ingredients… with the occasional weevil, but the extra protein can’t hurt right?) This time I’m sure I have everything right except the psyllium husks – I’ve been using flaxseed meal instead as it’s another common substitute for xantham gum – but it’s still really like pancake batter, not like cookie dough. It’s sitting by the radiator now (so sad when those go off next week), and I’m curious to see how it turns out. No one else has commented on the thin consistency, but I’m amazed that three tablespoons of ANYTHING could make that much difference, it almost seems like it should have only one cup of water or another major change. I may have to ask my mom to bring some of that stuff with her when she visits in May to help me move back (she’s the one who has to be GF, I just play around with it)… We’ll see what I get in a couple hours! Yeah, the texture was definitely better last time, when I added extra flour. It rose a little but was too soupy to really become yeast-bread-like, it’s more like quick bread texture, and it didn’t even need the foil (what a sad waste of foil!) whereas last time it overflowed when I let it rise too long. I’m thinking it must be the missing psyllium husks – can something really soak up that much liquid in 6 minutes of mixing?! I’ll ask Mom to bring some in May, and till then put in more flour or less water. Thanks for sharing the recipe! I also live in Asia and don’t have the psyllium husks. I haven’t tried this bread yet as I just found it. I find that Asian flours often times take less water. There is one bread recipe that calls for 1 2/3 cup water and I only put in 2/3 cup. I often have to cut the water down. I would definitely put less in to get the cookie dough consistency and try it that way. MissJubilee, I definitely would recommend you don’t skip the psyllium, America’s Test Kitchen did many many rounds of testing on these recipes and with various substitutions and they are quite clear that there is NO substitute for the psyllium in most of the recipes that call for it. Not using the psyllium would absolutely cause it to have a much different consistency. It acts quite different from xanthan gum and flaxsesed in recipes. It does soak up a ton of moisture and it also creates this incredible texture that I have never found with anything else, in my gluten-free baking. I love the stuff. Have you looked online at all for it? It can be purchased on Amazon http://amzn.to/1gu2Xh8 that is the brand that I use. 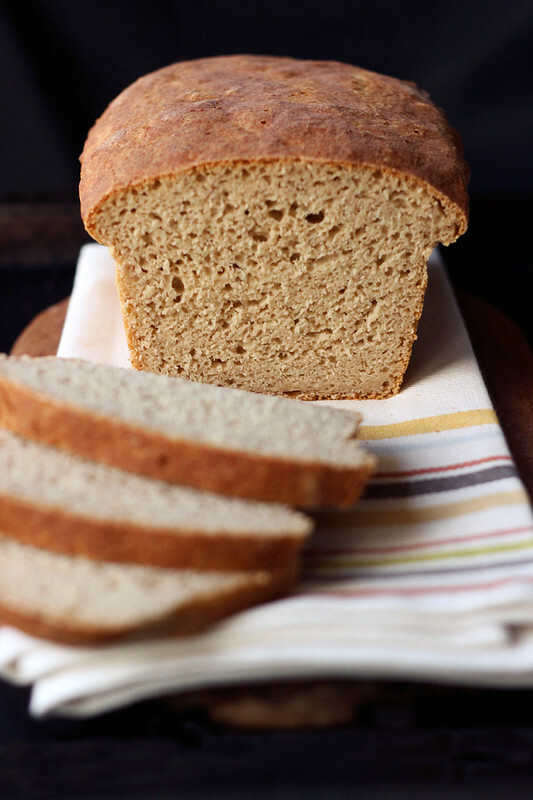 Have you ever tried to make the gluten free classic sandwich bread in a bread maker??? Did it work? and what settings did you use??? If you have I would love to hear how it went. In your recipe for gluten free bread you first create the ATK gluten free flour mix. It includes 3/4 ounce of fat-free milk powder. Then, later when you make the bread dough you add another 1.5 ounces for fat-free dried milk powder. Is that correct. Dry fat-free milk powder is added twice? The ATK Sandwich bread recipe was appreciated, however the measurements are incorrect. I printed your recipe then went to ATK website and took the free trail for GF baking and printed the recipe from that site. Unfortunately I grabbed your recipe and again the measurements are incorrect. 14 oz. of the flour blend is 3 cups plus not 2 cups. Needless to say, the bread did not come out well. Please review the measurements . As a side note, the free trial cooking class did not give a lot of recipes and I did not find it worth my time except for the sandwich bread recipe. Lynne, oh gosh. I flip flopped the 2 and the 3, it should read 3 cups and 2 tablespoons, not 2 cups and 3 tablespoons. I just changed it. This is a great recipe. I used the bob mill’s gluten free bread mix as the flour. I also did not have any psyllium or powdered goat milk. I substituted almond milk for water and I heated the entire liquid mixture to 110. Also I didn’t have a stand up mixer so I blended all the dry ingredient in my blend tech and the transferred to a bowl where I added the liquid ingredients with a hand mixer. The dough was more liquidy than cookie dough. I also added a teaspoon and a half of Zantham gum. Thanks for the recipe! FYI, it “was more liquidy than cookie dough” because you didn’t use any of the main ingredients or follow the recipe. You did in fact make something that may have resembled bread, but you did not recreate this recipe. Thank you for this review and all. Not only I am buying the cookbook but subscribing to your blog! Thank you for the inspiration. I was looking for a recipe with no xantan gum, and thats how I found your blog. The bread looks delicious. Im looking for a great recipe for my newly diagnosed celiac 3 year old. Is this bread recipe doable in a bread machine? Ive already made the ATK flour blend. Hey Kristin, aww I hope your kid loves it, this bread is SOOO good! I actually cannot say for sure, I don’t know anything about using a bread machine, at all. I wish I could be of more help. This looks delicious! Just embarking on my own gluten-free journey, and find that I really, really miss nut butter and jelly sandwiches. I had one question: can this be made without a stand mixer? I have a hand mixer or my own two hands. Thank you so much for baking this loaf and showing us what yours looks like! 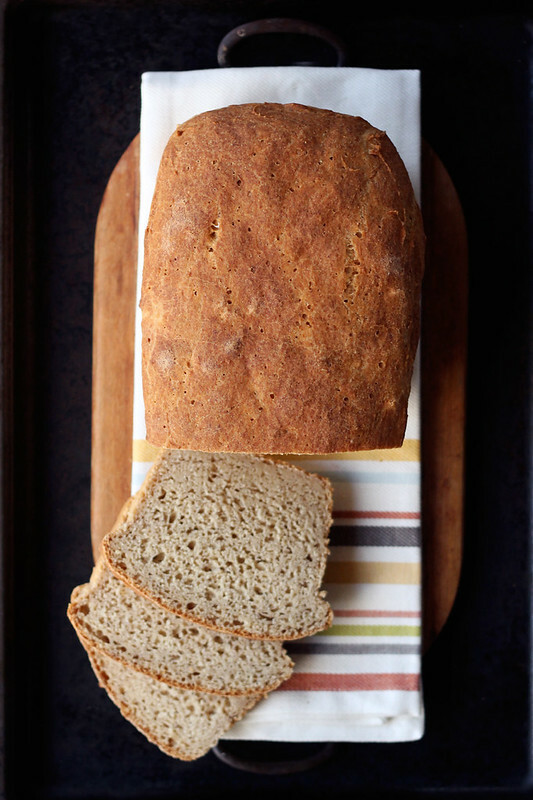 I have been making this bread from this book for about a year now with good results. My loaves do not look like the pictures in the book nor do they look like your beautiful loaf in your photos. Will you please tell me exactly what type of pan and the size of the one you used to make your bread? My crust is very light and crumbles and my bread does not rise up the sides and have the little curved edge. I use the foil around the pan, so I am not sure what is going wrong. Seeing your loaf gives me hope that I can make one that has the nice brown crust that is not dry, cracked, and flakes off. By the way, was a great sandwich, more like whole wheat grain bread. Reading some of the post; psyllium husk powder can be found in any drug store in the laxative section. Kmart, Walmart, Amazon.com for those still having trouble locating it. I noticed that your bread is the color of most whole grain breads, not white. Did you use the ATK flour mix as stated, or did you switch up the brown and white rice flours? I would like a more “whole grain like” gluten free bread. Just wondering how you got the nice brown slices. I can not use dry milk powder or eggs for this recipe, what can I use for subs? 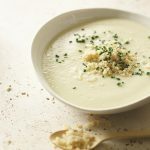 You can try soy milk powder but I have never tried it myself, I have never tried an egg substitution in this particular recipe, my inclination is to say that it will likely not work. Sorry I cannot be of more help. To test for doneness, can one use a thermometer and what degree would you suggest? I was looking for a sandwich bread recipe that was both gluten free and xanthan gum free, and came across this recipe. This was relatively easy to put together, and produced an impressive rise in a short amount of time. The flavor is very nice, but I was disappointed that it came out rather dense (despite the excellent rise) and moist. I’ve been trying to find GF bread recipes that use fewer eggs, because I find that the “eggier” the recipe, the more cake-like the bread tends to be. This does not exactly have a cake-like consistency, but it is still fairly moist and heavy/dense. It can be toasted to draw some of the moisture out, but it will still be pretty heavy. Amy – what flour blend did you use? That can definitely change the results. 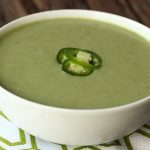 I highly recommend you make the recipe with the ATK blend and make the recipe exactly as written – I don’t find it to be heavy or dense at all. Has anyone tried this in a bread machine? I know it looks easy enough to make “by hand”, but just curious. With all the ingredients, especially the powdered psyllium husks, this loaf ran into some bucks. Good thing I had everything else on hand, because the husks cost me over $13.00. I agree, my loaf turned out also looking lovely. Unfortunately it tasted rather blah. Even toasted, it wasn’t wasn’t much better. Sorry, I’m not try to be disrespectful. Afterall, it’s America’s Test Kitchen’s recipe and I do appreciate you sharing it. I would be interested, though to know how many have actually MADE the recipe by now (and) whether (or not they honestly) liked it and would make it again. I made this this afternoon and it came out AH-MAZ-ING! It is definitely denser than wheat-based bread, but is by far the lightest, tastiest GF bread I’ve had yet. I weighed the ingredients and didn’t substitute anything (psyllium works so well in everything I make!). My rise took less than an hour, because I had the room pretty heated up with other baking. My bake time was only an hour and five minutes, which seems odd because my oven usually takes longer than recipes say. I took the bread out because I didn’t want it to get any darker and it sounded hollow. It looked fine when I just sliced it up for the freezer. I am going to make up jars of dry mix so I can just grab one from the freezer at night and bake it up in the morning! I’m already dreaming of turkey sandwiches and grilled cheese! I like to bake gluten free but never make bread because I do not want to use Xantan gum and most bread recipes call for that. Do you know if using ground chia seed would work as well as the psyllium husk. Love American kitchen,watch every week. Just starting to bake gluten free. I am finding I do not feel well when I eat wheat products. Just wondering if you have any gluten free bagel recipes? I just keep looking and trying and failing. Thanks for the great bread recipe. I have been making this bread for over a year. People that are having problems with gluten free bread caving in is because you must let the bread reach a internal temp of no less than 210 degrees. I found the powdered milk helps with browning but adds to the nutrition. I agree it does get a little dark but does not taste burned. I tent mine with foil after about 15 minutes of baking. If your gluten free does start to fall you can zap it in the microwave oven (out of the pan) a minute at a time. You will see the sides starting to puff back up. That is because the dough inside was still raw.Gluten free bread does take much longer than yeast bread to bake. Can flax meal be subbed for psyllium? If so, what would the rate be? 1:1? I made this today in a bread maker on gluten free setting- came out great! Rose higher than any other GF bread I’ve made in it, and it was cooked evenly throughout- not gummy in the middle. Wondering if this could be used to make croutons for stuffing? Thanksgiving is coming up and I love stuffing, but sadly can’t tolerate wheat/gluten. Definitely. It would be great toasted or left out to get a little stale, it would be perfect for that. Thanks so much for this wonderful recipe. I was absolutely thrilled when it rose so beautifully as my previous attempts with cassava flour rose little or not at all. My favourite thing to make with this bread is: I toast one slice in the toaster, then put slices of organic cheddar cheese on it and then put it in the microwave just until the cheese melts. It is so good. Thanks again. I can’t believe you actually thought a foil extended loaf pan was a good idea. I use a 5’x9′ pan, skip the foil folding and stapling, and get a very nice wider and shallower loaf with the same square inches of sandwich surface and a lot less fuss.